I have been trying to get healthier for the last 3 years but it’s a slow process as everything takes so long to research, save up for and get into long lasting habits. I am getting there slowly with a lot of things though, and making my own cosmetics has been next on my to do list for a long time. I became chemically sensitive when I had my health problems 3 years ago and anything I put on my face literally burned it, so I went organic with my products and that seemed to be good enough at that time. However, at the start of my pregnancy, I would wash my hair with my normal organic shampoo and then spend the rest of the day scratching my back where my hair hung down. This happened during my first pregnancy too but for some reason I had no idea it was my shampoo. So I decided I had to start making my own personal care products starting with shampoo, and more recently I have made this amazing moisturizer. I have been searching for a good moisturizer recipe for such a long time but they all seemed to take too long, too complicated with measuring temperatures, water separating from oil, expensive ingredients list, fancy equipment needed and bad reviews. 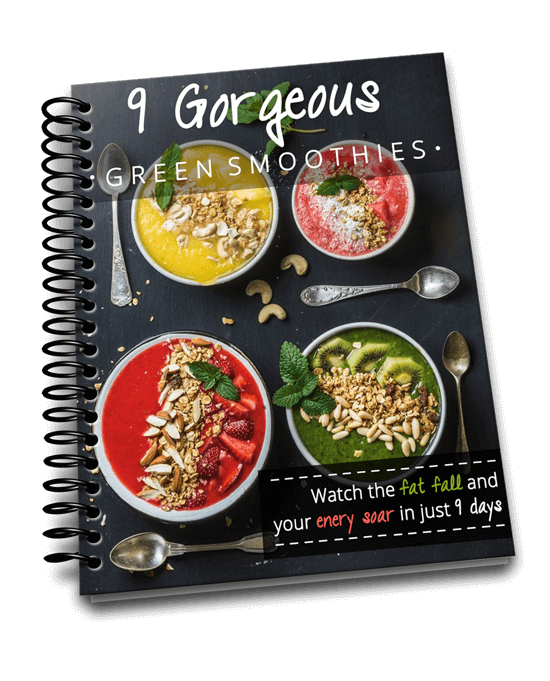 So I finally found this recipe which I’ve changed to make it quicker and easier to suit my busy lifestyle. I know it’s a recipe I’m going to return to time and time again. 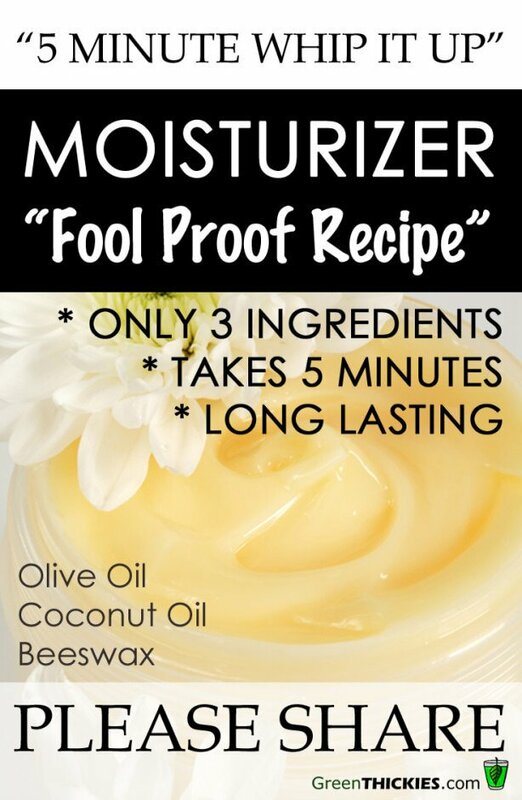 * UPDATE: I’ve been making and using this moisturizer for well over a year and use it for EVERYTHING! I have pots of this in almost every room of my house now. 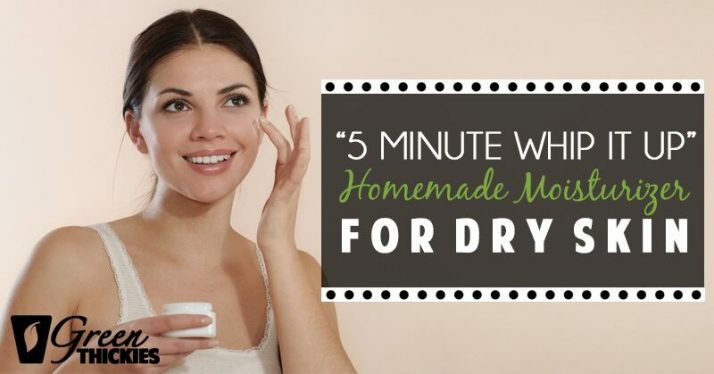 Great for dry skin. This is a good moisturizer as it creates a barrier that keeps your existing hydration within your body and protects you from drying effects of hand washing. I can still feel it on my skin after I’ve washed my hands. I wash my hands so many times a day that this is very important to me, as my hands are the only part of my body that are dry due to the constant washing. Lasts for a long time out of the fridge: As this moisturizer contains no water you can store it out of the fridge and it will last for ages. This was important to me so I can keep a small pot in each bathroom and in the kitchen. It’s always soft and doesn’t have to be melted before use. Great for nappy rash: My baby’s chronic nappy rash has completely cleared up after using this. 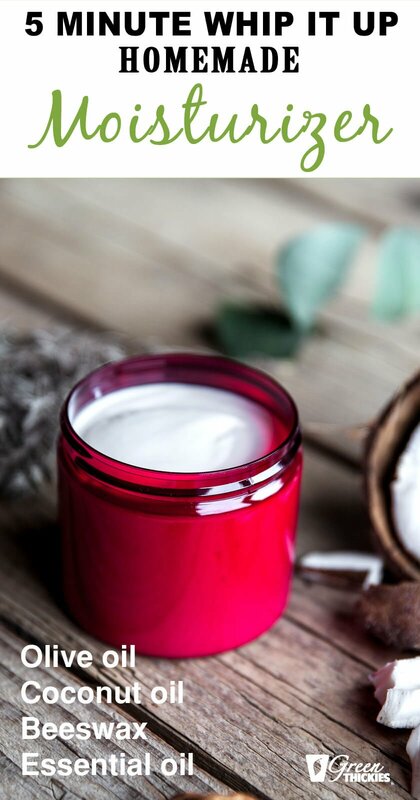 I loved coconut oil but it never lasted long enough or created a barrier on the skin to protect it. Only need a tiny amount so this will last for ages. Recipe makes a small quantity so you don’t waste your ingredients. You don’t need a lot as it’s so concentrated. It’s a great base for adding your own favourite ingredients to if you want to experiment. 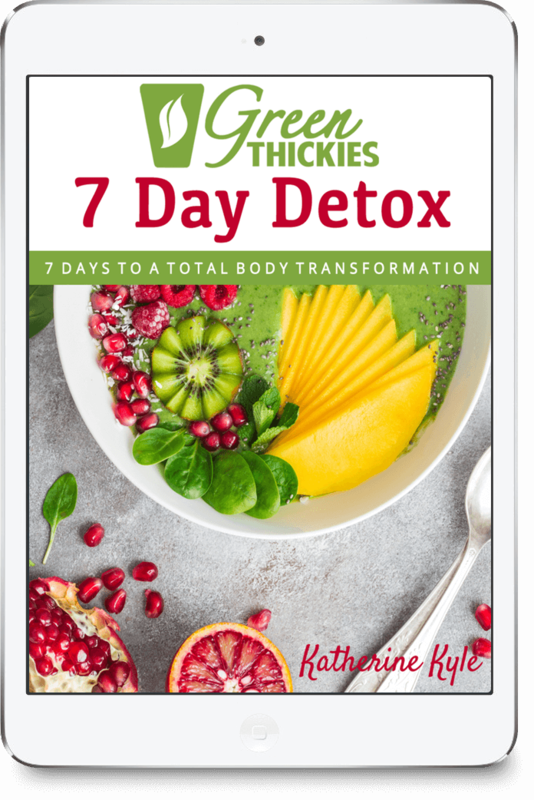 Luxurious, thick and creamy and great for any part of the body. I have also used this as a lip balm. When you first apply it, it can feel a bit greasy, and you need to rub it in but it usually absorbs within a minute unless you’ve used too much. You only need to use a tiny amount, but you soon get used to the amount to take. It’s so thick I don’t think you could use this with a hand pump which I used to use to save time. However I have put mine in a jar with a flip top lid which is almost as fast to get access to. I would suggest putting this in a wide shallow container as you will need to dip your finger into it. It’s not runny so you can’t pour it out of a tall thin bottle. I recommend a jar like this. You just need to use a tiny little dot of this for your hands or face as it is so rich. Rub it in for a minute and your skin will be able to lock in it’s moisture. Store this out of the fridge in a wide, shallow jar or container or a few very small tubs. It will make about a Cup’s worth. Combine the Olive Oil, Coconut Oil and Beeswax into a heat proof jug or large jar. Put the jug/jar in a saucepan and fill the pan with water until it comes 3/4 of the way up the jug/jar. Add your essential oil to the jug/jar now if you are using. Now to finish this quickly, use an electric whisk to quickly whip the ingredients into a moisturizer. OR if you don’t have a whisk you can use a fork and give it a good stir. You may have to stir this every 5 minutes until the texture is thick and creamy. I couldn’t actually believe how easy this was and how well it worked. It saves me a fortune, hardly takes any time at all and I know I’m not putting loads of toxic chemicals into my skin now. Perfect! I hope you enjoy it as much as I do. 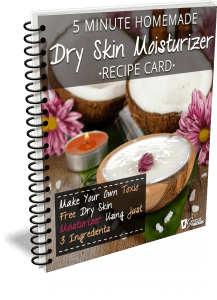 I was a bit skeptical when I first came across this Moisturizer Recipe. But I tried it and not only does it work, my fine lines are disappearing. My landlady said that my wrinkles were disappearing. So I am no longer a skeptic, but A Firm Believer. This stuff rocks!!! I would love to get your shampoo recipe. Hi. I come across your website & can’t wait to make the moisturiser (just have to source some beeswax). Also 3 months ago I signed up for Good Living Oils & read that you use the Joy essential oil so will use this for my first batch. I live remote Aus so hope I can get good quality beeswax nearby. I am really enjoying your website. Thanks very much! From Suzy. That is fantastic! Thank you for sharing. Thanks. I have very dry and itchy skin when the climate change to cool. I used Olive oil and Tea tree oil and beeswax. My skin feels wonderful and soft and smooth. Thank you again. Now my skin don’t feel itchy and very dry. God bless you and thanks. Do you let this cool to a solid state before using the beater? Thanks! Hi Jude, not quite solid but about the consistency of room temperature butter. Is it okay if I use it on my hair, my hair is so dry. Hello, yes it works well as a hair mask, however it will need shampooing out otherwise your hair will look greasy. Personally, I miss out the beeswax and prefer essential oils like tea-tree or lavender for my hair. Hi! Thanks for the awesome recipe :) Cant wait to try it out… I have a question- as there is no preservative, how long does this lotion last ? Hi, honestly, I don’t know, I’ve had pots for months and they don’t go off. I’m guessing it would be the earliest use by date on the ingredients (ie. the olive oil) but it does seem to last forever. Can you use it on face fordry skin as well as combination skin? i heard bee wax clot skin pores. Can I leave it out and still get a creamy moisturizer? Hi Chris, it won’t be exactly the same and may need to be kept in the fridge (or at least cool) but yes you will still get an excellent moisturiser without the beeswax. what if you don’t have beeswax? Can I add Neem oil to your moisturizer? Hi there! I have a few questions. First, how much does 1 batch make? When choosing the olive oil to make lotion does it matter on the grade of oil? For instance is there a difference in the quality of lotion based of the cost of the olive oil or extra virgin olive oil? Inexpensive vs Expensive? 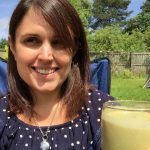 And my husband is allergic to coconut oil, what would you recommend to replace that with? hi there, if i use the jar that you recommend, how will the whisk fit into the jar? my whisk has two prongs on it… i also have a hand-immersion blender. not sure if that will work. You can use any container to whisk it. Originally when I cooled my cream, it was wonderful with a nice texture. But now at room temperature its basically a liquid ? Where did I go wrong? I made this today and it turned out perfect! Do I need to put this in the freezer? Thank you so much for sharing this. Can I use shea butter in place of the beeswax? Can I replace the beeswax with shea butter? It doesn’t seem to be absorbing in my skin. The beeswax has a different consistency to Shea butter but you can give it a try. Sorry this happened. It’s always worked well for me before so it’s very hard for me to say. You could try putting it in the fridge or freezer to firm up again before whipping it. Perhaps it is too warm. Hi Katherine thanks for this great recipe. I used jojoba and almond instead of olive oil as i have a combination skin. My skin feels great in the morning when i wake up but during the day it feels dry and itchy around my mouth. Do you maybe know why its doing this? It is really hard to tell as it could be the type of oil but again it could be an allergic reaction to food or something else.